In honor of Father’s Day this weekend, how about we celebrate Benedict Cumberbatch’s new parenthood? Welcome to Daddyland, Sir Cumberbatch! Congratulations to you and Sophie Hunter. I cannot wait to hear what you’ve named your baby boy! This piece of fan art looks crazy real, doesn’t it? 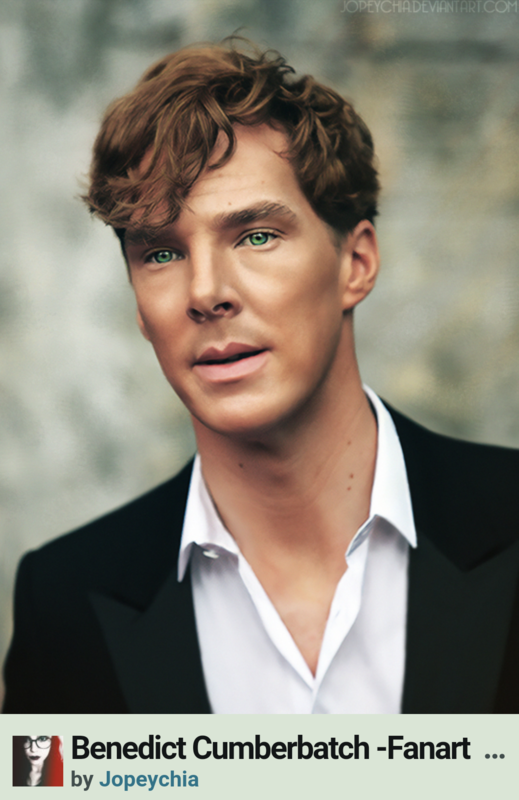 Are his eyes that intensely green?